The Ready, Set, Manifest!™ Handbook has structured teachings and exercises you can use time and again to navigate major decisions and transitions. The handbook comes with access to the online Ready, Set, Manifest!™ resource page, where you can download the worksheets, ask questions, and get more information. What if the only thing between you and the answers you’re looking for… is the right question? 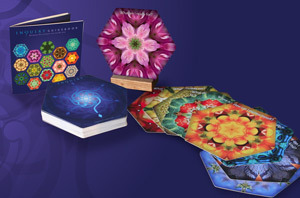 Inquiry Cards are a great tool for meditation and journaling. The Passion Planner is my favorite organizational tool. 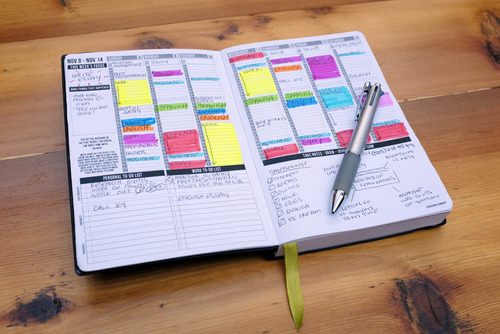 It combines the function of a daily planner with a goal-oriented journaling and tracking system. Rita Loyd’s cards are beautiful and important reminders of self love. 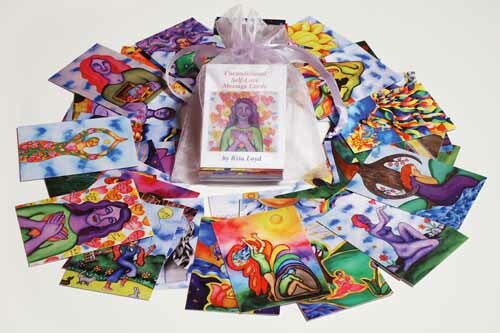 Be sure to check out Rita’s personal story of how she found healing and a powerful sense of purpose through her art.